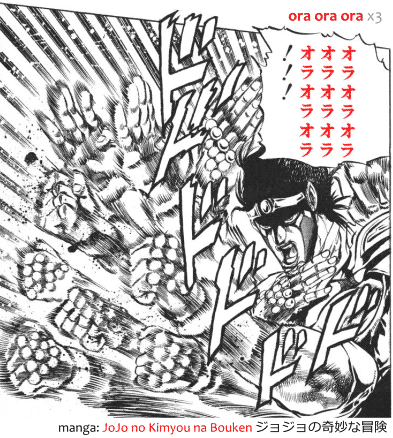 In Japanese, dodododo ドドドド is an onomatopoeia that has a number of uses. 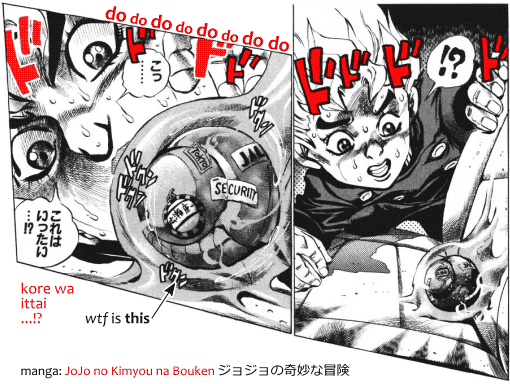 In the manga JoJo's Bizarre Adventure, dodododo ドドドド tends to show up when things are getting bizarre. When something sudden and unexpected happens, something of "real form unknown," shoutai-fumei 正体不明, etc. The word dodododo ドドドド is an onomatopoeia, so it can also mean pretty much anything that makes a dodododo sound. This could be the sound effect of a motorbike starting up, for example, or of even powerful ora-ora-ora punches. Sometimes it mimics the sound of strong thumping, like of a heart thumping tensely. This would be different from doki doki ドキドキ, that's usually about the love kind of loud thumping. 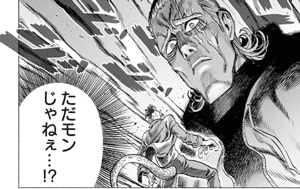 Totally unrelated, but in One Punch Man, dododo ドドド is the sound effect for the ominous and peerless King Engine™.